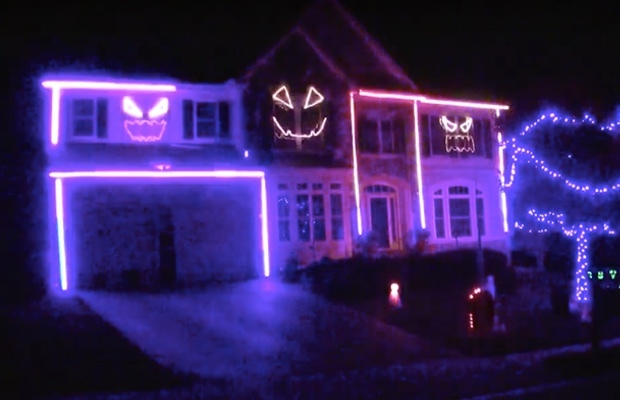 One of the cooler Halloween traditions in recent years has been the trend of creating crazy light shows set to pop songs for entire neighborhoods to enjoy. Virginia's Brandon Bullis is the king of these light shows, having created incredible presentations set to PSY's “Gangnam Style” and “What Does The Fox Say” in recent years. This year, Bullis set his light show to Macklemore & Ryan Lewis's hit single, “Downtown.” Check out the wild presentation below.